If you've heard about UnitedHealthcare (UHC) limiting members to only Medtronic insulin pumps beginning July 1 and feel this is wrong, please go to "We are DPAC" (Diabetes Patient Advocacy Coalition) and say so. The Diabetes Online Community is rallying its social media power and our collective voice to like David, bring down Goliath -- this time in the guise of UnitedHealthcare. I've written about this before. The strategy is short-term savings for which we will all pay dearly in the longer-term -- financially, in productivity loss and loss of health. Kelly Close, founder of CloseConcerns, wrote in diaTribe details of this stunning move, and while she notes Medtronic as an innovative company, she also points out that exclusive payer-manufacturer agreements hinder smaller, more nimble companies from bringing us new breakthroughs. And, taking away patients' choice to personalized therapy and devices, is a threat to everyone's personal health. Wanting to unify our muscle to overturn UHC's decision, Close and the diaTribe Foundation team put together a quick phone call with numerous diabetes advocates. The call was to solicit opinions, recommendations and connections how to go forward making patients' needs and desires known to payers. The diaTribe team also drafted an advocacy letter to be sent to payers that incorporates the knowledge gathered on the call. Please read the letter -- it asks for your feedback so we stand strong as a single voice. Our collective muscle shows how influential we are as an activist community. Quickly after this announcement social media lit up with dozens of advocates posting, including Melissa Lee's immediate and passionate response on ASweetLife. Mike Hoskins' thorough review of the situation on DiabetesMine. "Having diabetes isn't a choice. How people manage it should be," said Kim Blickenstaff, president and CEO of Tandem Diabetes Care. "Insulin pumps are not a one-size fits all solution. Selecting which pump is the best fit for a person to manage their therapy needs should be a decision made between a person and their healthcare provider." The DPAC, as mentioned above asking for your story, was created by diabetes online activists to specifically keep policy makers' attention on people with diabetes. They are asking now for your story so we can make UHC more aware of what their denial to one's choice of insulin pumps means to patients -- and overturn this decision. 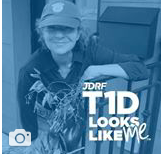 "I have had type 1 diabetes 44 years since the age of 18. I have seen diabetes drugs and devices blossom so that people can have the best individualized therapy helping patients enormously to manage their diabetes. And now, it is all going away. Standardized treatment is becoming the norm. Continuous glucose monitors (CGMs), above all devices, most take the guesswork out of managing one's blood sugar. Yet if you are over 65, you have no access through Medicare. And, people with type 1 diabetes over 60, are among the most vulnerable population for hypoglycemia unawareness. Many friends with diabetes have shared similar stories with me. I recently blogged about it here on The Huffington Post. One friend was denied access to a CGM by her insurer who told her she didn't have diabetes because her A1C was under 7 percent. But if she could get it up to 9 percent they'd consider covering a CGM! We, as people with diabetes, are increasingly at risk for preserving and protecting our health, as our and our physician's therapy choices are being taken away. It is unconscionable that the very institution that is supposed to protect our health -- health insurance companies -- to whom we pay increasingly higher premiums and co-pays, is day by day causing our health to erode. Patients, physicians, diabetes organizations and industry MUST collectively make sure this practice of restricting medicines and devices is overturned -- and does not continue." This was originally published on DiabetesStories.com. Riva is the recipient of the 2015 IDF Award for education and advocacy. She has written three books, Diabetes Dos & How-Tos, 50 Diabetes Myths That Can Ruin Your Life and the 50 Diabetes Truths That Can Save It and The ABCs Of Loving Yourself With Diabetes. Riva speaks to patients and health care providers about flourishing with diabetes. Visit her websites DiabetesStories.com and DiabetesbyDesign.com.